What is a Karma Class? 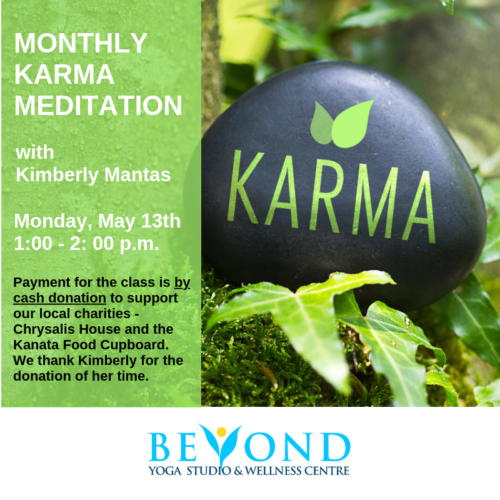 Karma classes are yoga classes that are specifically offered to support our community charities – Chrysalis House and the Kanata Food Cupboard. Payment for the class is by cash donation and the teacher of the class kindly donates their time. The class style is dependent on the teacher, but is generally a Gentle or Hatha Yoga class. What is the minimum cash donation suggested? The minimum donation is typically $5.00. Thank you for your generous support of our Karma classes!